Buy Cooking Oil Equipment (1-500T) - Shandong Leader Machinery Co.,ltd. In the first way, oil pressing plant is composed of seeds cleaning & crushing unit, steaming and drying units, pressing unit,conveyor,electrical cabinet box,etc . The oil pressing unit as the main stage, to make the vegetable seeds flake in a hardened cage to squeeze oil content out. The by-products from the oil press are cake and soap residue. The cake could be used as animal food with our pelleting machinery, or source material for the other way of extraction. Soap residue is the source material for laundry soap with soap making machinery and washing detergent . The second way to extract oil for using chemical solvent to dissolve oil content contained in cake or direct oil seeds,only for lower oil seeds,for example soybean. Then oil is separated from solvent by vaporizing solvent out. In configuring the solvent extraction plant, pre-pressing may be involved in which case seeds are lightly pressed, and which leaves about 14% to 18% oil in the pressed cake. Solvent extraction will further process these cakes and leave less than 1% oil in the final cake. This method results in higher yields, more oil; Lower power consumption, lower wear & tear / maintenance and high extract efficiency. Thus it could be used as complement equipment to extract the oil remained in cake, which yields are extra profits. Certainly if the capacity is less than 30 tons, or it is high rate of output oil , this process could be saved . Note: we have the different oil mill factory for the visit . For the whole Cooking Oil Equipment (1-500T),warranty is 12 months,within 12 months,if have equipment quality problems,we will provide accessories freely. After the expiration of the warranty period,if have spare parts problem,we only receive the cost of required replacement parts.We commit we will provide free technical support of equipment all whole life. 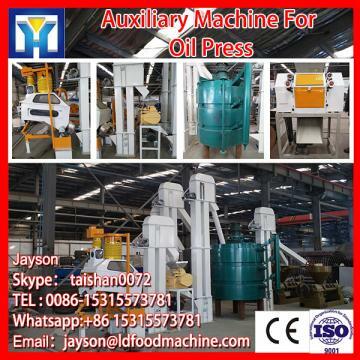 Our company has engaged in producing and exporting Cooking Oil Equipment (1-500T) for many years, and until now, our machine has exported to overseas market, such as Brazil, India, Indonesia, Russia, Thailand and so on, and get the foreign customers' unanimous praise. We believe that you purchase Shandong Leader Machinery Co.,ltd. Cooking Oil Equipment (1-500T) is your best and sensible choice.